I manage two separate conditions that result in chronic pain. After a long and thorough search to find the best doctor to help me manage my chronic pain, I finally found an orthopedic surgeon at UPMC. With excitement and hope about finally finding some relief, I called to make an appointment with my new doctor. I never made it to that first appointment, or even had a chance to meet with the doctor of my choice. Why? 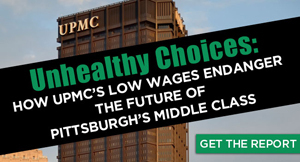 Because UPMC didn’t like my insurance – Highmark’s Community Blue. I even offered to pay cash out of pocket to see him, but was not allowed all because I had the wrong insurance card. No one should be turned away from healthcare because of their insurance carrier. That’s why new legislation introduced by Representatives Christiana and Frankel introduced is so important. Coming together across party-lines, Reps. Frankel and Christiana are working to make sure that what happened to me stops happening in Pennsylvania. HB1621 and 1622 will make sure that all large healthcare systems must accept all insurance cards and that hospitals like UPMC can no longer deny someone access to their doctors and treatment simply for having the wrong color insurance card. The ability to choose a doctor for ourselves is essential in receiving the best quality care. My care – and the care of thousands of others just like me – should never be put into jeopardy by UPMC’s efforts to increase market share and profit margins. I am a patient. I should not be treated like a pawn in business maneuvers. Thank you to Representatives Christiana and Frankel for taking a stand for all of us. 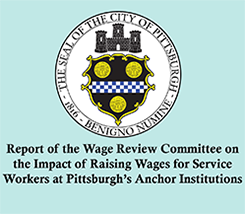 UPMC is a corrupt business paying its top people over the top salaries and benefits while creating a large number of working poor with its actual work staff. They are not a nonprofit though they enjoy the tax status as such for many years and still today. UPMC has done nothing but rob the tax payers and people of PA for a long time. They need to be put in their place and realize that TREATING emergency situations in their hospitals when people have NO HEALTH INS. at all and then ruining their credit through collections and putting it on their credit reports IS NOT charity and should not be considered by anyone as being a reason to have nonprofit status. They cannot control our health system, they aren’t honest and don’t care, just a for profit business ripping us all off! !